This best in class Bluetooth&amp;nbsp;wireless solution is a Mission Critical Wireless earpiece with a 9.5" cable, designed specifically for first responders. It provides a truly secure link, easy pairing on the go, instant push-to-talk, in an all-day comfortable and durable earpiece. When used with an XTS radio, PR1500 or MT1500, the XTS Wireless Adapter (PMLN5792)&amp;nbsp;is required. 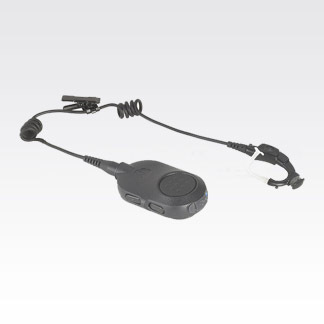 This earpiece is also compatible with MOTOTRBO’s enhanced Operations Critical Wireless Bluetooth adapter. When used with an XPR 6000 Series MOTOTRBO radio, the MOTOTRBO Operations Critical Wireless Adapter with touch pairing is required (PMLN5993).